Delving into the role money plays in the Occupy movement and, more specifically, uncovering what role philanthropists have in Occupy’s grand scheme was something I knew would require careful thought. In wanting to dissect some questions and to better understand the intersections between philanthropy and the Occupy movement it was a natural choice for us to approach Mike Bonanno of the Yes Men and Farhad Ebrahimi of the Chorus Foundation. Farhad Ebrahimi is a philanthropist, activist, musician, lover of film and literature, supporter of science, hipster, and bicycle snob who lives in Jamaica Plain, Massachusetts. Farhad comes from a background of unambiguous financial privilege, and he believes that responding to that privilege in an equitable and just manner is going to be a significant part of his life’s work. He’s especially passionate about issues of climate, energy, and environmental health, which he approaches primarily through his role as the founder and trustee chair of the Chorus Foundation, a domestic funder based in Boston. 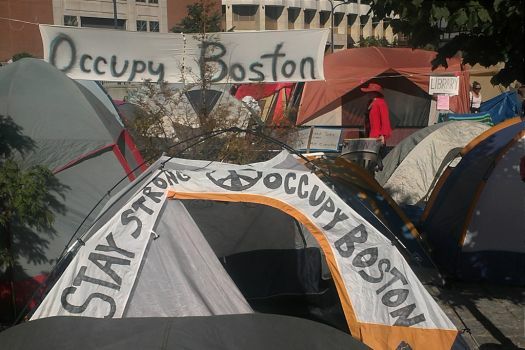 As a member of the 1% who stands with the 99%, he’s also been heavily involved in Occupy Boston since the first tent was pitched in Dewey Square. Farhad graduated from the Massachusetts Institute of Technology in 2002 with a bachelor’s degree in Mathematics with Computer Science. Mike is one half of the Yes Men, a notoriously mischievous pair that crafts brilliant hoaxes often involving impersonation of leaders of big corporations who prioritize profits over all else. You may have heard of their films, The Yes Men (2003) and The Yes Men fix the World (2009), in which audiences get to be inside the heads of these two comedic, culture-jamming activists as they craftily sneak their way into mainstream media to expose the truths behind mega corporations. 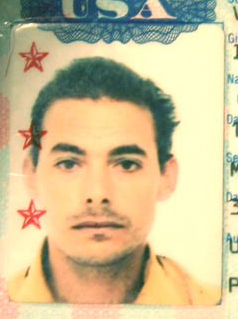 Most notably, perhaps, was Andy Bichlbaum’s (the other half of the Yes Men duo) appearance on BBC World in December of 2004 where he posed as a Dow Chemical spokesman announcing that the company was finally taking responsibility for the Bhopal disaster. This hoax led to wide media coverage not only for the Yes Men but also for issues they were trying to address. As committed fans of smart humor and creative activism, it has been an entertaining and motivating experience to have the Yes Men project, Yes Lab as a Kindle Project grantee. The Yes Lab is the fertile training ground for the Yes Men to share the tactics, ideas, thinking, strategizing and thoughtful mayhem-making with other activists groups who are looking for new ways of engaging in direct action. 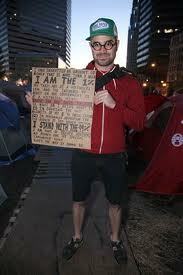 Since the beginning of Occupy Wall Street the Yes Lab’s have been getting actions off the ground. 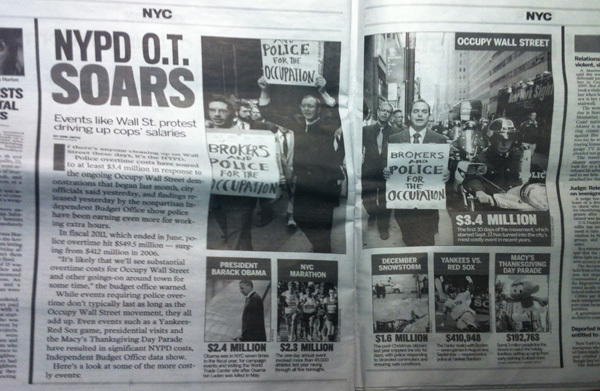 When Occupy Wall Street began last year our team spent a lot of time in conversation about it. As per our usual Kindle Project style, we generated a lot of questions. We wondered what the outcome of these occupations would be, if it was appropriate to even expect or anticipate “outcomes,” and how the world of philanthropy might fit into it. We knew that foundations and individuals were compelled to put money into Occupy and we had a lot of questions about how that all might work, and how it was going to work in the long run. We questioned language, tone, actions, and efficacies as we wondered if foundations who were interested in supporting Occupy, could be welcomed into the movement or if that would be perceived as antithetical to its goals. To understand this issue it was important to first ask: “Does Occupy need money?” I had heard from one Occupy activist in NYC that it was best for philanthropists to stay away from funding Occupy directly. It was more important for them to fund the groups and grassroots organizations whose work aligned with the Occupy spirit. Farhad had a similar opinion: that Occupy could use money to support logistical needs but that where funders could really support the movement as a whole was by making connections in a non-transactional way with Occupiers. “I think people on the funding side and the field side need to just keep talking to each other. Trust and knowing will bring the transaction. It will help to shift the power dynamic: Folks looking for funding can look for comrades–that’s the ideal. Share what you’re doing and don’t think that just because they’re not funding you for one cycle they aren’t interested in what you’re doing.” What Farhad was addressing, earnestly, was the need for relational support and connection as opposed to merely transaction support. Both Farhad and Mike shared accounts of the early days of Occupy, in Boston and NYC respectively, and how each was involved. For Farhad, the early days were filled with inquisitiveness, and the desire to help out and be of service in the “media bull pen” as a representative of the 1%. Mike explained that the Yes Labs arrived on the scene early as well: “Around the beginning of the occupation we stared to participate in some affinity groups that were doing good natured actions that seemed like fun.” He explained that these actions could be another story about what was going on downtown, one that wasn’t centered around protesters being pepper sprayed. They both discussed the fact that being involved also meant working with logistics: establishing kitchens, cleaning the areas, organizing shelter, and obtaining food. Setting up the logistical structure for a movement like this comes with a real sense of urgency, and what was evident in speaking with both of our interviewees was that conceptual goals for the movement were quickly fused with the immediate needs of the Occupiers. This added another complex layer to where money, funding, and donations fit into the picture. Farhad explained the particulars of what it meant to be a part of Occupy Boston every day for a couple months. Knowing the ins and outs of all the logistics, the big goals, the small triumphs, and all the dynamics in between and also where money fits into this big picture. Farhad explained that money could be and was used for basic needs, but that when people were evicted from the Boston camp things became very contentious. There was an interest in the community to support these people, but questions remained regarding the process of funding. How to go about giving somebody money, and how to decide who could become a member. Questions like these poured forth from the NYC Occupy camps as well complicated queries about decision making for a group that was lacking—and championing their lack of—central leadership, and whose General Assembly was still struggling with structure. From here questions were raised regarding what to do with the money that came into Occupy, whether it was necessary, and how it could be used. A key question came out of these experiences and continues to be relevant today. How can the old but persistent funder/recipient power dynamic be mitigated in this setting? The potential problems are clear. When approaching funders to support an organization or project, hopeful applicants often tailor their words to promote their mission in a way that they think would best appeal to funders. Doing so, however, causes the application to lose a measure of authenticity, and in turn both parties lose out. Both funder and recipients lose the opportunity to form partnerships, and for funders to know the work they support in detail. If the relationship, as opposed to the financial transaction, is made top priority, then this funder/recipient playing field has a greater chance of being leveled out. The newly formed group, Occupy Philanthropy, though still in its developmental stages, is tackling some of these harder questions about how a community of funders can best support and relate to the Occupy movement. As Farhad points out, Occupy Philanthropy is still forming and it might take some time for this group of funders to delve more deeply into the radical funding that may be required as the Occupy movement continues to shift and change. For Kindle, being on the periphery of the Occupy Philanthropy group (participating in the listserv, conference calls etc. ), it has been interesting to feel like we’re a part of a group of people who are engaging with creative thinking around money and “the movement.” For Mike, “the Occupy Philanthropy group is a good place [for funders] to start–concentrating on funding and targeting where they could apply some lubrication to the movement.” Each funder, then, needs to align their funding to what matters most to them, and I think Occupy Philanthropy is trying to address and tackle some of these answers. Just as Farhad urges those in search of grants to find comrades in funders, he too makes a call-out to funders to “walk the talk.” He speaks about the frequent trend in blind investments many foundations engage in: “Most foundations only give 5-10% of what they have every year – the rest is invested, and not often in investments that correlate with the mission [of the foundation].” He goes on to explain: “This is how you end up with foundations that spend money trying to shut down coal plants, but who have their funds invested in trying to set up new ones.” Farhad reminds us, the funders, to invest and act with thoughtfulness, which will ultimately be the foundation of a new economy. With Mike’s trademark Yes Labs humor, buoyancy, and creative direct actions and Farhad’s transparent, earnest, and committed dedication, it’s no wonder that this movement is still going, shifting, shaping, and questioning. Where money and philanthropy fit in is quite clear after talking to these two – funders need to get more transparent and more risky in their funding – but they can’t do that without fostering real relationships with the people and organizations they wish to fund. According to both Mike and Farhad, funding Occupy directly will be less and less useful and it is up to funders to make commitments to the organizations who are working at the grassroots level to help the shifting and growing momentum that Occupy ignited.